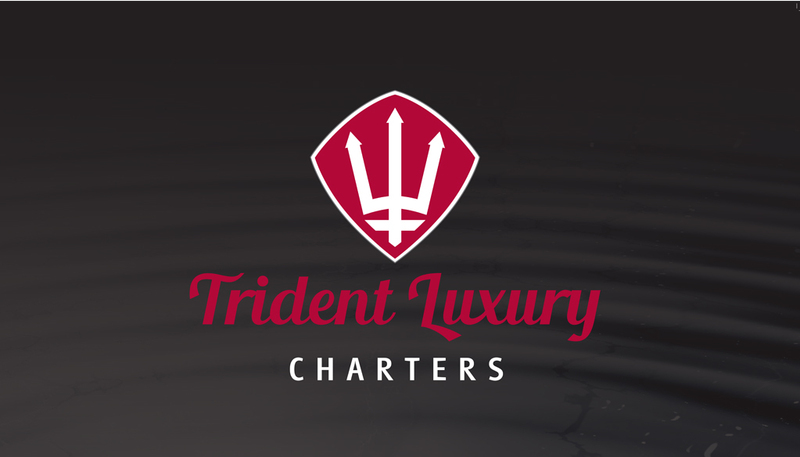 Trident Luxury Charters briefed Hopping Mad to create a new logo and brand for their luxury charter business. As a start up business, everything was required – logo, stationery, promotional items such as flyers and banners, and of course a website. 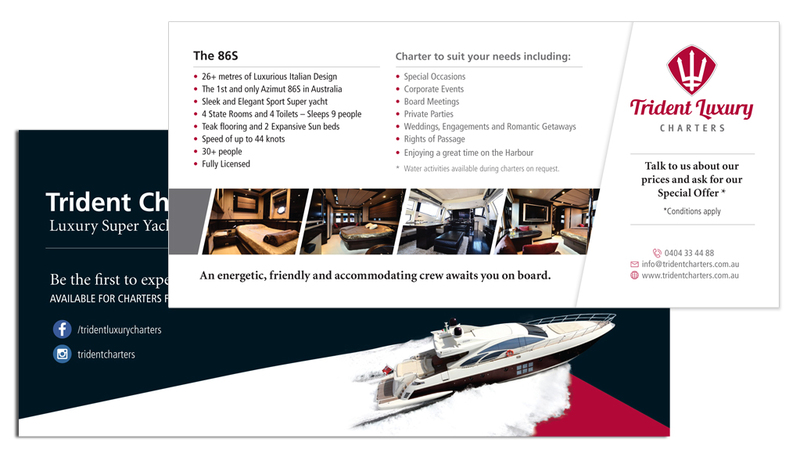 ‘Trident’ is a well know visual and the name has been used frequently in the market – so the challenge was to create a unique and original graphic for the company. An original graphic was created and centered within a diamond device. Strong typography and colour palette bring it altogether. The team at Hopping Mad understand design!